This year I dressed up as a Rooster/eagle/ Fire bird and didn't even get under the head. And for Chinese New Year I am not quite sure what my role will be in Chinatown this year. But I know I will be doing two events in JP to expand the holiday out into other Communities. 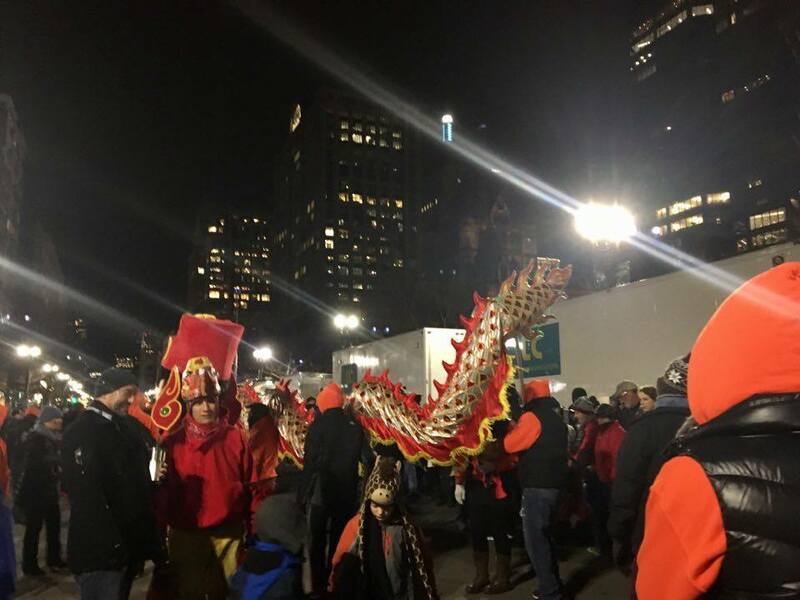 Wong Keung (whose Dragon is pictured above) actually does Malden and Quincy annually. JP has many Chinese residents but not a lot of Chinese businesses. But I see potential anyway. Look forward to a ton of Lion Dance and Chinese New Year themed posts coming up on the Chinatown Blog. 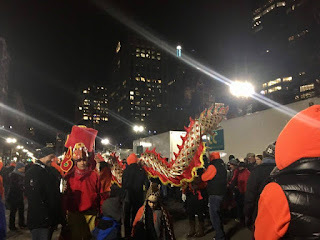 As well as a jointly written post about our experience in the parade by Adriana and me (the rooster).